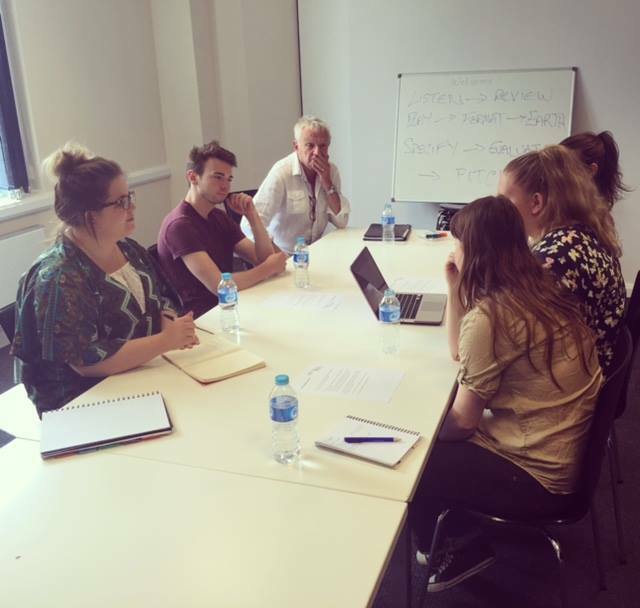 This article has been guest written for Digital Horizons by Luke Spencer, Media Production student atBournemouth University and Silicon South intern. Shooting 22 videos in 2 weeks is definitely the biggest challenge in media production I have faced so far. Three interviews per two-hour shoot with cutaways and sometimes multiple shoots in a day has certainly made the experience interesting. I have undoubtedly learnt a lot about corporate production in my 4 weeks at Silicon South and Digital Horizons. When you are faced with the task of getting into an office, setting up, interviewing three people with cutaways and getting out within two hours it may be dawning on you that you have taken on too much. The first shoot was the hardest, knowing that the people we were interviewing had given up their time to help us only added more pressure to our performance on the day. We had spent time practicing setups and organising how we were going to light and angle our interviews. But nothing can prepare you for the exact environment we were going to be in, such is the nature of production. Going in and being made to think on your feet about how to deal with problems and limits has taught me a lot more than planning ever could. Having to concentrate on our own roles (Audio, Camera and Lighting) we also learned to rely on each other to get our jobs done. As the weeks went on we became more proficient until we were able to setup in under 5 minutes and find solutions for any problems to do with the offices we filmed in or when having trouble with kit. I can now say as a result of my time here that I feel confident in my ability to work in changing environments and have a new perspective on the digital industry myself. But we didn’t just get to improve our production skills over the 4 weeks. While honing our skills we have also had the unique opportunity to make a real change, not all placements can boast about that. The digital industry is under represented, especially in Bournemouth, but through our work we should be making the prospects for young people clearer. Covering seven sectors of the industry and making the information about different job levels available to young people is a big start on bringing more light to this almost hidden industry. 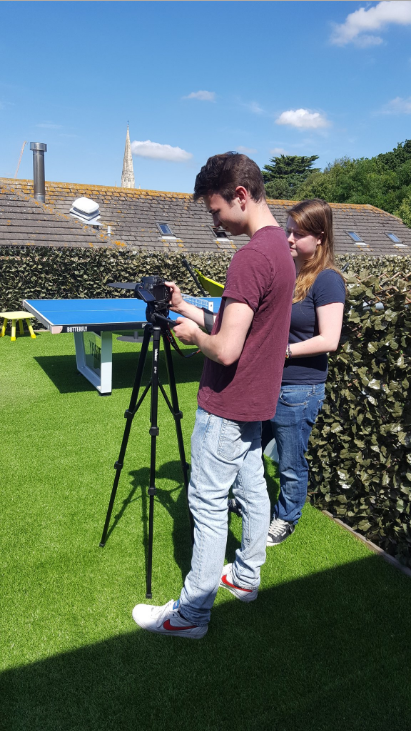 Throughout my first year at university I definitely was not aware of the amount of exciting companies that Bournemouth hosts, so as the shoots went on I was starting to see why we were making these videos. Knowing this was helping give the industry exposure I started to put in even more effort to making the image of the companies better. I’m proud to say that the future of Bournemouth’s digital workforce may well be shaped by our work here at Digital Horizons. 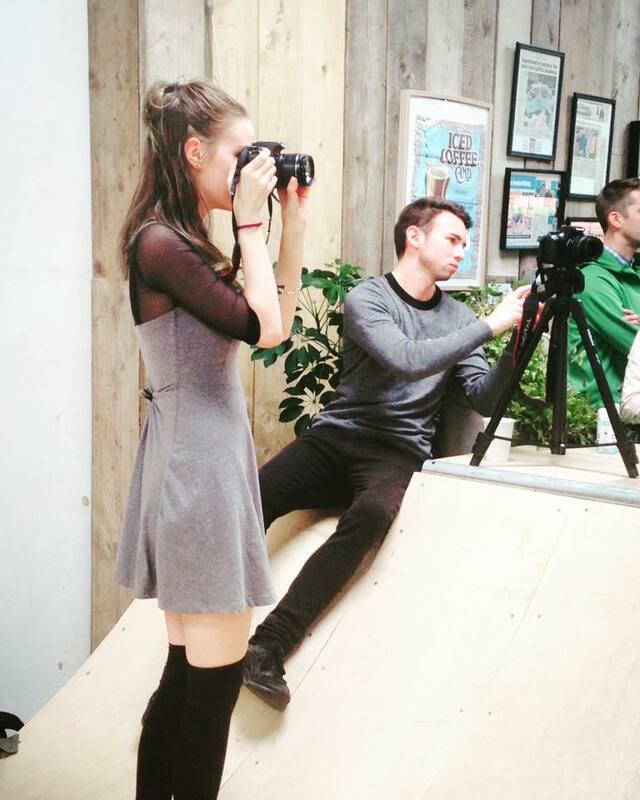 Young people who may not have known the industry existed might just choose to follow a digital career after seeing one of our videos and that’s why I think this placement has been so beneficial to me and the rest of the team I have worked with.